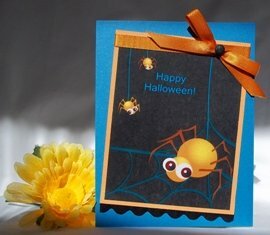 Make a handmade Halloween card with a spider theme. 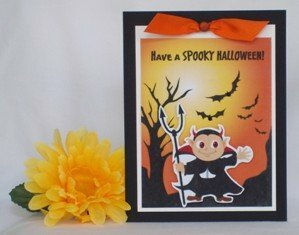 Find lots of ideas on this site to build your own Halloween card with examples of handmade cards. If you are looking for spooky handmade card ideas for making Halloween cards, you can find this image on a software program I purchased called eCard Wizard. 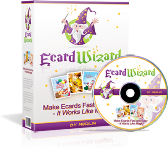 Ecard Wizard provides templates to help you make homemade Halloween cards as well as ideas for other handmade card making projects. Spiders are popular for Halloween card ideas which is why I thought this template was cute. The program lets you change the text so you can personalize this Halloween card idea. Often times, handmade halloween cards are orange or purple but I liked the fresh idea of using blue. Since the text and spider web were blue, I used a solid color paper for the background. Rick rack is a great embellishment for your Halloween card making projects. I used a large, black sized rick rack for this Halloween card craft. 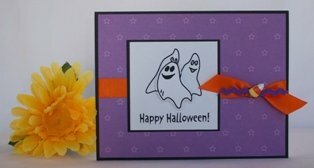 I often use ribbon for many of my paper card making ideas and for this Halloween card design, I didn't have a blue or black ribbon so I used orange. I used a black, glittery brad and placed it over the knot on the ribbon. I placed the image on an angle but for your homemade Halloween card ideas, you can straighten it, position it on one of the corners or experiment if you don't like the diagonal aspect of this Halloween greeting card. Below are more homemade card ideas to make Halloween cards. These cards for Halloween feature vampires, dragons and ghosts. Go to Halloween greeting card. 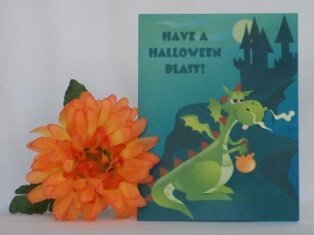 Make a Halloween card, again, using eCard Wizard. Here's a template I used that featured a vampire. 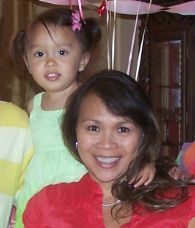 I used a black card for the background. Here's another card idea using eCard Wizard. I used an existing template and just trimmed the edges to finish the cards. Build your own Halloween cards using clip art. 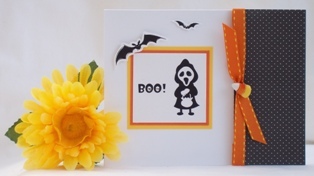 This card features a cluster of ghosts and I embellished it with ribbon and a candy corn button. I hope you enjoy these Halloween card designs. Keep searching through the web to inspire you and help you with your hand made card ideas to make unique Halloween cards.